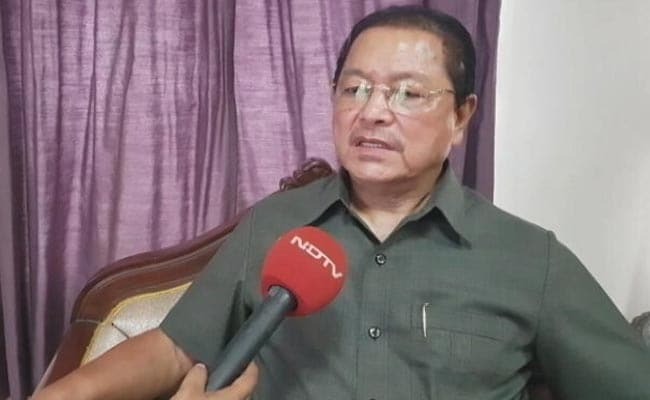 Eight candidates, including Chief Minister Lal Thanhawla, Zoram People's Movement (ZPM) chief ministerial candidate Lalduhoma, People's Representation for Identity and Status of Mizoram (PRISM) president Vanlalruata, have filed nominations in two seats each. Eight candidates, including Chief Minister Lal Thanhawla have filed nominations in two seats each. Nomination papers of all 204 candidates for the election to the 40-member Mizoram Legislative Assembly on November 28 were found to be in order and accepted on Tuesday, state election department officials said. The scrutiny of all 212 nomination papers was conducted on Monday and they were accepted, the officials said. There was, however, some delay in scrutiny in Champhai North seat due to an old nomination form given to a candidate, but the matter was settled on Tuesday, the officials said. Six candidates are contesting from the constituency bordering Myanmar. National People's Party (NPP) convener Lianzuala and Nationalist Congress Party (NCP) state unit chief Lalawmpuia Chhangte also fielded candidates in two seats each, while 'Zoramthar' chief Rev Zaichhawna Hlawndo and his two daughters - Lalhrilzeli and Lalruatfeli - also filed nominations in two seats. Wednesday is the last day for withdrawal of nominations. Mizoram is set to go to polls on November 28. The counting of votes will be held on December 11. The state has 40 assembly seats with an estimated 7.6 lakh registered voters. The Congress has been in power in Mizoram since 2008.